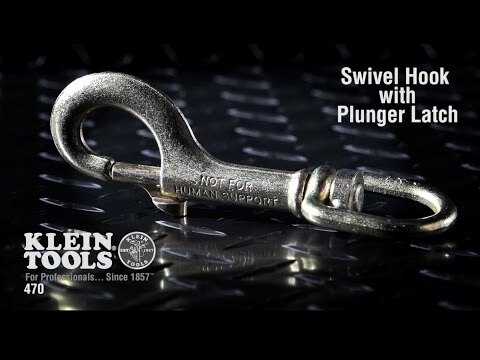 The Klein Tools 750-pound 1/2-Inch Steel Swivel Hook with Plunger Latch is made from forged steel. It can hold up to 750 pounds. The swivel action of the clevis allows smooth rotation to help prevent accidental fouling into secondary wires.